Did you choose "one word" to focus on for this year? Wouldn't it be great to have something beautiful to hang in your home that you can look at every day as a reminder of what you want for yourself this year? And that you made with your very own hands? 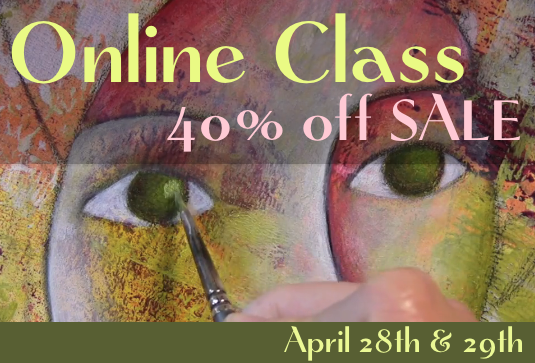 Come learn to create a painting like the one pictured above and add your word in my art studio in Portland, Oregon! This a two hour acrylic painting class with all supplies included and you will leave with a beautiful finished painting to hang in your home. Space is limited, so be sure to sign up early! Ages 12 – adult, no experience required! Check out the quick video below for a peek at at the process of creating this painting. so.....back to the class i took from jesse reno at the beginning of october (man, has it been that long already? )....it was AWESOME! i got alot from it....even though i kinda feel like my class paintings don't show that (but i'm gonna show them to ya anyway :D ). in some ways his process is kinda similar to mine, in the ways that it was different, it challenged me. and that was a good thing! :) it pushed me to approach my process a bit differently....imparting a bit more freedom and more awareness of how i can push what i'm already doing to the next level. love the feel of paint all over my hands! jesse painting with his hands....he did that alot!